Billie Holiday changed the world's expectations for popular music, bringing intense emotion and a unique style to the art form. She gained notoriety with her rendition of the protest song "Strange Fruit" and won fans with more mainstream work like "Miss Brown to You" and "When a Woman Loves a Man." More than half a century after her death, Holiday is still considered one of the all-time greats, and her recordings endure as classics. We remember Holiday's life today as well as the lives of other notable people who were born this day in history. Click to discover notable people who died this day in history including the king of insult comics Don Rickles. 1962: Hugh O'Connor, U.S. actor who portrayed Lonnie Jamison on the TV drama "In the Heat of the Night" from 1988 to 1995, and the son of actor Carroll O'Connor, is born in Rome, Italy. 1946: Stan Winston, U.S. special effects artist who worked on films including "Avatar" and "Aliens," is born in Arlington, Virginia. 1944: Julia Phillips, U.S. film producer and author who was the first female producer to win an Academy Award for best picture, for "The Sting," is born in New York, New York. 1941: Danny Wells, Canadian-American actor who played Charlie the bartender on "The Jeffersons" and had roles in films including "Magnolia" and "Private Benjamin," is born in Montreal, Quebec. 1939: David Frost, English journalist and television host well-known for his interviews with President Richard Nixon, is born in Tenterden, England. 1938: Freddie Hubbard, U.S. jazz trumpeter known for his contributions to bebop, hard bop, and post-bop, is born in Indianapolis, Indiana. 1938: Spencer Dryden, U.S. drummer with the Jefferson Airplane and New Riders of the Purple Sage, is born in New York, New York. 1936: Cynthia Lynn, Latvian-American actress who played Fraulein Helga on TV's "Hogan's Heroes," is born in Riga, Latvia. 1934: Ian Richardson, Scottish actor who was a top Shakespearean stage actor but was known best to many in the U.S. for asking, "Pardon me, do you have any Grey Poupon?" in a series of mustard commercials, is born in Edinburgh, Scotland. 1933: Wayne Rogers, U.S. actor known best for his role as Trapper John on the sitcom "M*A*S*H," is born in Birmingham, Alabama. 1932: Cal Smith, U.S. country music singer who had a hit in 1974 with "Country Bumpkin," is born in Gans, Oklahoma. 1928: Alan J. Pakula, U.S. film director, producer, and writer whose films include "To Kill a Mockingbird" and "Sophie's Choice," is born in the Bronx, New York. 1928: James Garner, U.S. actor who starred on the TV series "Maverick" and "The Rockford Files," is born in Norman, Oklahoma. 1920: Ravi Shankar, Indian-American sitar player who was well-known for his association with George Harrison and the Beatles, is born in Varanasi, India. 1915: Billie Holiday, U.S. jazz singer known for her powerful rendition of "Strange Fruit" and other classics, is born in Philadelphia, Pennsylvania. 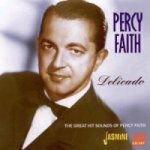 1908: Percy Faith, Canadian bandleader who popularized easy-listening music, is born in Toronto, Ontario. 1891: Ole Kirk Christiansen, Danish businessman who created the Lego toy, is born in Filskov, Denmark. 1860: Will Keith Kellogg, U.S. industrialist who founded the Kellogg Co., is born in Battle Creek, Michigan. 1770: William Wordsworth, English poet who was poet laureate of Britain from 1843 to 1850, is born in Cockermouth, England. 1506: Francis Xavier, Basque Roman Catholic missionary who co-founded the Society of Jesus, is born in Xavier, Kingdom of Navarre.